Embark upon an unforgettable cruising experience this summer aboard Symphony of the Seas, the newest addition to the Oasis Class of the Royal Caribbean Fleet. Explore the tranquil beauty of the Mediterranean on the largest ship on the ocean, weighing a gigantic 230,000 Tonnes with a capacity of over 6870 passengers. The ship is a floating city in itself with a wide array of activities and amenities. Accommodations range from the Royal Suite Class and Family Suites to Balcony, Overview and Interior Staterooms to cater to every need of the passengers. The cruise will commence its first sailing from Barcelona, Spain in April and then continues cruising in the Mediterranean for the entire summer till September. The week long itinerary includes visits to exotic destinations of Palma De Mallorca in Spain, Provence in France, Pisa, Florence, Naples and Rome in Italy. 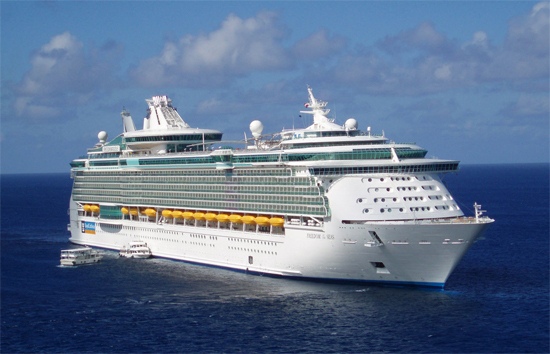 Passengers can board the ship for the week long cruise from either Barcelona or Rome. Ultimate Abyss: The world’s tallest slide at sea returns with a new twist with dual 43- foot rock climbing walls to add to the thrill of the ride. Splashaway Bay: The Aqua Park that is the perfect place for kids to have buckets of fun made all the more adventurous by an all new waterslide – the Perfect Storm! Flight: A one-of-a-kind adventurous show that takes you through the history as well as future of flying. Hairspray: A Tony Award Winning Broadway Hit about big hair, big dreams and the spirit of life sure to leave you awestruck with the unmatchable performances. HIRO: A latest Aqua Theatre production with more high flying feats, stunts and acrobats than ever before. For Dining options, Symphony of the Seas offers food options ranging from quality, hand-cut steaks at Royal Caribbean’s Chops Grille to exotic Italian Food, from the freshest seafood to your Mexican favourites. Almost every cuisine worldwide is at your disposal in the middle of the sea for you to relish. The Neighbourhoods on the ship are just as diverse, the chief among them being the Royal Promenade, the Main Street of the ship. This neighbourhood is the hub of designer boutiques and endless shopping options to pamper yourself. The Boardwalk is the ideal spot for spending quality family time, with family restaurants and a brand new attraction for mouth-watering confectionaries at the Sugar Beach. Thousands of miles away from the bustling city of New York, the passengers can find their very own Central Park with stroll paths lined up with over 12,000 trees and plants. 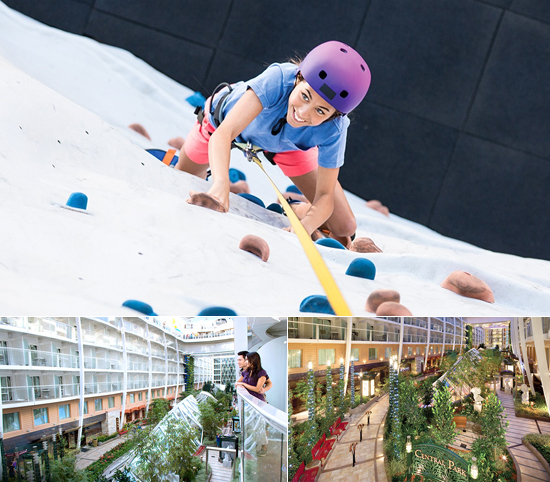 With the Pool and Sports Zone, Spa and Fitness Centre, Entertainment Place and the fully equipped Youth Zone, the ship has enough neighbourhoods and activities to make sure that there is something new to explore every minute. The ship is also home to a dazzling Jazz Club as well as the biggest Casino at Sea. Gamble away! Enrich your summer holidays with your loved ones by exploring exotic European destinations on a ship that will leave no wish unfulfilled. Book early for an exemplary experience on the finest ship sailing across the Mediterranean. Make this summer not only memorable but also unforgettable! The author is a travel blogger and writes about popular holiday destinations and cruise packages. In this particular article, he talks about the newest and largest ship to be launched in the Mediterranean this summer.